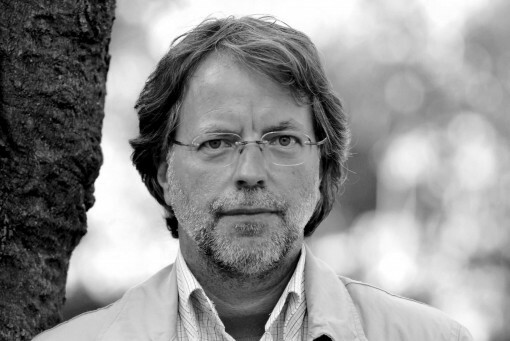 On the occasion of receiving the $50,000 Neustadt International Prize, author Mia Couto shared his views on his role in the African literary landscape, oral traditions and more. And this past Friday, Mozambique’s Mia Couto was honored with the prestigious Neustadt International Prize for Literature, whose previous winners include such literary luminaries as Gabriel Garcia Marquez, Elizabeth Bishop, Czeslaw Milosz, Octavio Paz, David Malouf, Adam Zagajewski, and Rohinton Mistry. 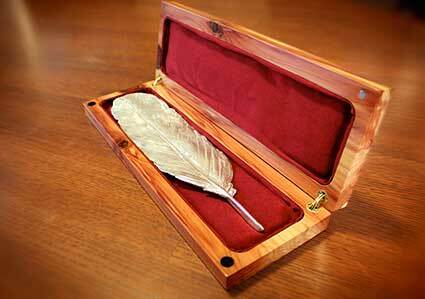 Sponsored by the University of Oklahoma’s award-winning magazine World Literature Today, the prize, given every two years, consists of $50,000, a replica of an eagle’s feather cast in silver, and an award certificate. Funding for the prize has been ensured in perpetuity by an endowment from the Neustadt family of Ardmore, Oklahoma, and Dallas, Texas. Neustadt International Prize for Literature awards a silver feather. I had the opportunity over the course of the three-day festival to sit down with Couto to talk about himself, his career, and Africa. PP: Let’s start with the obvious: what was your reaction on learning that you would receive the Neustadt, and what does it mean to you? Couto: I received the message in a very particular moment when I was trying to escape from my country to South Africa. There was a threat to my family; there was a moment when they were kidnapping people and my family was a target. At the same time there was a bigger picture of the country that there was a chance that war would come back, it was a nightmare. When I saw that number, that strange number on my phone, I said I don’t know that number, but then something happened. It was R.C. Davis [Executive Director of WLT) – it was a very special moment, one that made me even happier because it was so unexpected. One week after that, I was in my country again. But the kidnappings never stop. Can you tell me a bit about your family in Mozambique and how your career as a writer began? In the beginning of the 1950s my father was politically involved against the situation in Portugal, that was Salazar then, and he escaped to Mozambique. He escaped with my mother, they were both very young, and so me and my two brothers were born there, in the middle of the country. I grew up listening to their stories – my parents were both storytellers – my father was a poet, my mother was a brilliant storyteller — and I think I learned from them — I can’t remember any of their stories but I remember the passion. I saw when they were telling stories that they weren’t really there, they were on a trip, going back to Portugal and bringing back memories; it was a way of recapturing the past. I took that passion and saw that there is something very special about telling stories, so I think this was the first moment I received a signal – a sign – that that was really a moment of pleasure when you’re telling stories. I moved to the capital to study (there was no university where I grew up); and there I became involved in the political movement for the independence of Mozambique. That was an underground movement, and I received a message that I should stop my studies and infiltrate the newspaper. So I went there using another name, an epic moment; I was there for just a couple of months, and then there was a coup d’état in Portugal, but I stayed as a journalist for ten years or more, and that’s how it started. It happens in our lives that by accident you can change your life. There’s been a lot of talk about the emergence of African lit onto the world literary scene – but is there such a thing? Is there something that links, let’s say, you, Coetzee, Achibe, Ngugi wa Thingo’o and Nuruddin Farah? Not much links me with those authors – I’m more linked with Brazilian literature, for instance. It’s a way that we categorize things, but it’s even worse. There’s this entity called “Africa” – we know that it’s imaginary, it’s an invention, there are so many Africans and so many literatures in Africa, and when you consider a kind of division that is inherited by colonialism – there’s Lusophone, Anglophone, Francophone, African…you package this as a kind of one thing and it’s not of course. You don’t talk the same way about European literature. I understand it as a kind of marketing thing, so maybe instead of fighting against it, let us say that it doesn’t exist, but, as I learned from the guerilla movement, we should take advantage of the moment and the fragilities of the system. This moment is good in that the doors have been opened; so you come in and then you fix it. Given that then, to most people outside of Africa, certainly to most Americans, a white man writing in Portuguese would not be thought of as “African.” Do you see yourself as an African writing in Portuguese, or as a Portuguese writer writing about Africa? I’m both. 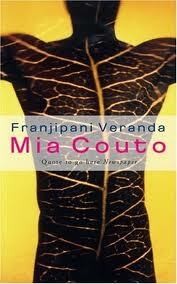 I’m Mia Couto. I would say that I’m both — but more an African because I could not imagine that in a country like Portugal or Brazil that I would be invited to write, because it’s my life, I’m talking with my own life, my past and childhood. My childhood was so rich because of what I received in that borderline between my own house and the street and the rest of the world. That borderline in that culture was very fragile, it’s not like here; there’s no borderline, there’s no frontier, the verandah where I was listening to other voices, other languages, and another world outside there, and that other world told me stories that were competing with the stories I was hearing in my home from my father and my mother. And there was something there was so interesting and mysterious about it…so Africa was coming to my house without any intersection – as it was a continuation of Africa. Was it easy to traverse between the world in your house and the world outside? Not so easy. You know, I remember I was five years old, and I was speaking fluently the local language, there are 25 languages in Mozambique – and I realized that there was an impossible translation, that when I tried to tell those stories in my house something was lost. There was a kind of “you shouldn’t have to belong to that language to say those things” – that became a question, that I should be able to translate that other world into Portuguese. Portuguese was changing, and should be plastic enough to accept those other concepts. My parents were very open to that other world. My father, because he was involved in the political fight, he knew that that was a colonial situation, so when he chose to live in Mozambique, he kind of said “my children they belong here, they belong to this other country.” Even so, sometimes they’d correct me, they’d say don’t go so far away. They were afraid to lose me, “You can go, they’d say, but not so far.” There were limits. In the introduction to your novel Under the Frangipani, Henning Mankell wrote that your work “manifests an Africa sense of how a good story should be told.” What does that mean to you? Is there a difference between African narrative and that of other areas of the world, and how does your work fit into that? Maybe there’s not such a difference in narrative — the way we say it is different, in terms of structure. The writers coming from “Africa” (for want of a better term) — although see the same kind of difficulty as in American writers — they are storytellers, there are so many stories around us. These countries are still being born with so many contradictions and contrasts, that while it seems if they, if we, present a book as a novel, you can see it’s a short story, it’s a collection of short stories with a line conducting and uniting it. Jumping from stories and competitions between characters and stories — maybe that’s the difference. So then, as I’ve noticed through reading you, are your books really about storytelling? I’m trying to tell the story of what is behind the storytelling – that’s a passion, how we are made of stories, that we are so dependent on stories, it’s an addiction. It’s our way of making sense of the world. Now that I’m a grandfather, now that I’m repeating these stories but not repeating: young boys and girls they want you to repeat the same story the same way, so you need a story but you also need stories to play with, to play with the structure. You should have a house, but you should also have an entire world within that house. Ruth Finnegan, in her study “Oral Literature in Africa,” wrote that “In many African cultures a feeling for language, for imagery, and for the expression of abstract ideas through compressed and allusive language phraseology comes out particularly clearly in proverbs.” I can feel that very strongly in your work – how were you able to tap into that as well as into the oral traditions of storytelling? I think it’s something that comes really easily, well, in the first place, Portugal is a very mixed country when it comes to race. We should remember that Portugal had been occupied by North African guys for centuries, and since the 16th century 10 percent of Lisbon was comprised of Africans, black Africans, so a lot of words, a lot of cultural remnants, that come from Arab, that come from the other countries in Africa existed in Portugal, so I think this is the first element, that the Portuguese language and culture is so diverse. And there’s the fact they were not able to create an empire, it was a very small country for such a big territory, so they didn’t really occupy and change the places that they had been, like Mozambique for instance, or Angola; they were a small and ephemeral presence in some cities, they were kind of absorbed by the country, so I think that that point of departure is there as well. I think of and in proverbs, and the Portuguese culture and language contains plenty of proverbs that are close to the African proverbs, so what I feel, again, I’m on the borderline between those two worlds, and the proverbs that I’ve been using I use them to change them – proverbs create such a normative moral position and lesson – and I’m interested in subverting the proverbs, changing them into something new. Sometimes I use African proverbs because they are so rich in poetry, and imagery, so I think proverbs are kind of a literary genre, more than just something traditional or popular. And, I admire the people who create proverbs – sometimes they come from literature, which means there’s a dialogue between writers and popular proverbs, and we discover that something you think is coming from nowhere has instead come from an ancient book and writer. It’s not just the rest of the world. Africans have often incorporated some of these prejudices. One of them is that Africans are supposed to talk about Africa. That’s a stereotype of Africa, you don’t think that it’s a problem that an American writer will write about India or Europe, or some other place, we think that it’s natural that someone from America is doing research in Africa about topology or sociology, but it’s strange that an African guy would come to America and do anthropological studies, and so we have that deeply rooted in ourselves. You expect that from an African author you will have authenticity, and that’s something you don’t ask for from a European writer or any other writer. But that’s slowly changing. We are becoming free of that imposition or stamp of needing poverty and huts, or even worse, witch doctors and dancing around the fire. We see the reaction when people go to Cape Town or Nairobi or Johannesburg and they say “this is not Africa.” Why can’t we have the right to have diverse urban areas? With technology and the internet breaking down the insularity of societies worldwide, how do you see African literature being changed? So far, new technology is changing literature. It’s not – the real solutions to the problem of insularity don’t come from technology. The solution is to know mobility, which is part of the technology. If you go to the internet to know something about the ‘others’ but if you’re not able to make a friend, to go there and have the sensation of not just being with others but being the other inside yourself, there’s no technology that can help you. Otherwise you’re just stuck to the internet. If you go to YouTube or something, you still need to experience and travel not just going there, but trying to let the other culture take possession of yourself. Reading on smart phones isn’t becoming that popular in Africa – they’re used to talk since we’re still an oral society. It is oral, and it’s so largely that phones are an instrument of that oral culture, they’re used as a slave of that culture, it’s an instrument. And to continue along the same lines, with the expanded use of technology, will there be a loss of the tradition of oral storytelling? Urbanization is going to contribute to the breakdown of the oral culture – but even still in the urban areas, the culture is still very oral. If you are watching a television debate in parliament, issues about the economy or politics, members of parliament, doctors and engineers, they still tell stories. I thought to myself, I have to learn this, because using that particular story, they found something like – it’s like they have Google inside their memory and they found just what they needed to fight against political demagoguery. You’ll find this everywhere – people remembering proverbs, it’s the logic of orality. But with the extended family disappearing with young people moving into the city, that society of links and relationships is breaking down. In my speech, I’m going to talk about the fact that in our language there is no word for “poor,” instead, we use “orphan.” A poor person is an orphan – they’re one in the same – he’s lost his connections with his family. For me, when people talk about traditional and indigenous cultures, it’s a false thing — there is no “traditional” thing except maybe in special cases – in Mozambique we’re not so isolated and pure, it has been contaminated in the good sense, exchanging values with other cultures, even if they are other African cultures. But if you lose that orality, which is not just a lack of writing, that poetry, we’re going to be losing something important. There’s also a loss of language in the move from the countryside to the city. In our educational system, there’s just Portuguese. Portuguese is what you’re taught in school, which is an act of violence against the local languages. People only are able to read and write in Portuguese. The other local languages are all oral, although they are now using the alphabet. Recently, in one of the provinces of Mozambique, they translated part of a book of mine into a local language and it was a disaster. Nobody was buying or reading it, they can only read in Portuguese. And finally, what African writers do you read who are not getting the attention they deserve outside of Africa? I know [it’s an issue] because I read badly in English… I can read a technical book in English but not a novel, so I am dependent on translations myself. And to tell you the truth, there are some writers in Mozambique and Angola who deserve to be known outside, but I also know it’s not easy to enter into the United States. Maybe it’s easier to enter into South Africa and be translated into English there, and then the second step is Great Britain. Or the colonial route from Portugal into France. That’s our way into the world.